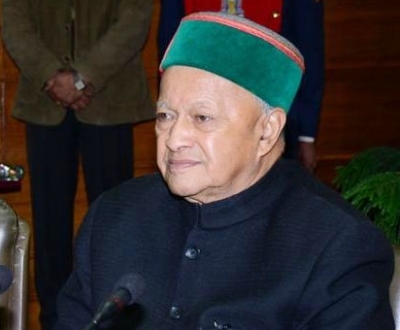 Shimla, Oct 19 (IANS) Himachal Pradesh Governor Acharya Devvrat and Chief Minister Virbhadra Singh on Thursday greeted people on Diwali. The festival of lights symbolises joy and happiness, celebrates victory of good over evil and light over darkness, the Governor said in a statement. He urged everyone to celebrate the festival in a pollution-free manner. On the eve of Diwali, Devvrat visited the Cancer Hospital in Indira Gandhi Medical College and Hospital here and distributed fruits among patients. He also served food on behalf of NGO All Mighty Blessings among them.